The 1st real-time social recruiting management software of its kind. What does the platform deliver? Distribute your jobs through search-optimized tweets sent through as many as 11,000 highly targeted Twitter channels. 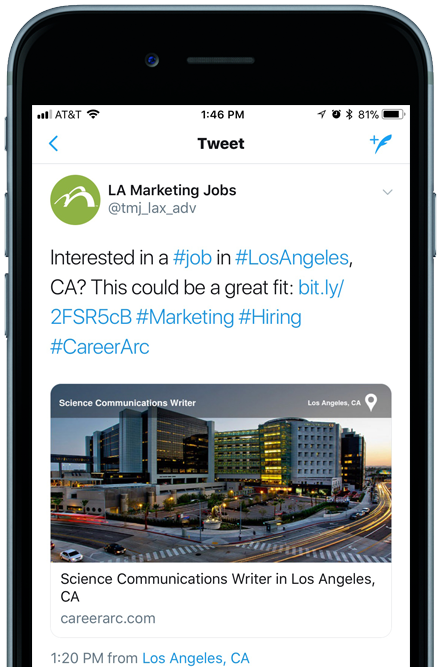 Capture your candidate’s attention with eye-catching Twitter Cards and full-width Inline Images that pop from the text stream. 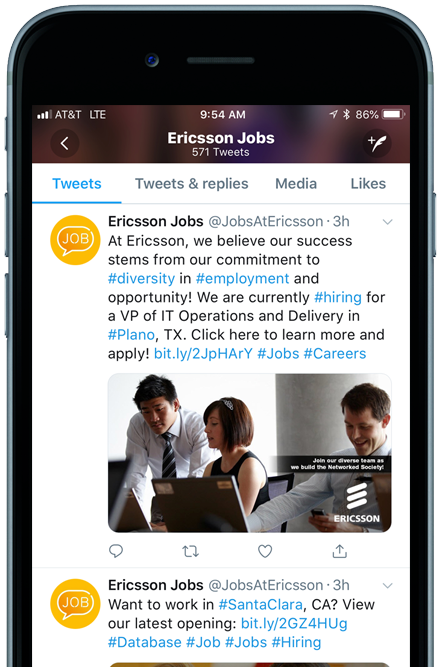 Boost brand visibility and engagement through optimized, dynamic tweets allowing for maximum display of clickable logos, photos, and text that always link back to you and your job page. Bring your jobs to the most active social network on the planet by adding a dedicated Facebook Career Tab to your Facebook page. List full job descriptions that allow candidates to consider and share multiple openings without ever needing to leave your Facebook page. 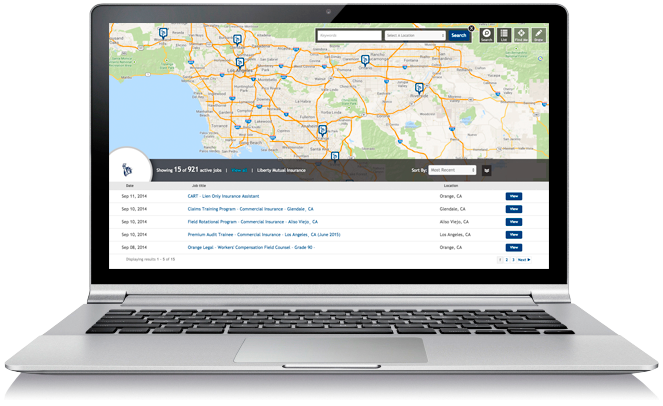 Show the power of your employer brand through an interactive interface displaying your open jobs in map view. Communicate company culture through engaging, sharable content like videos that easily embed on the page. Drive more likes, shares and followers with CareerArc Engage. 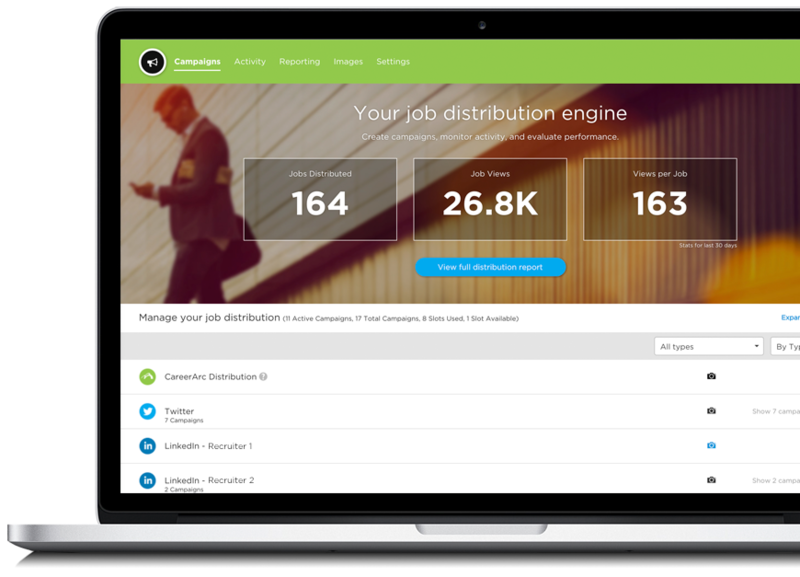 Fully integrated with your jobs inventory, CareerArc Engage merges content publishing with job distribution to showcase your winning brand alongside your open opportunities. 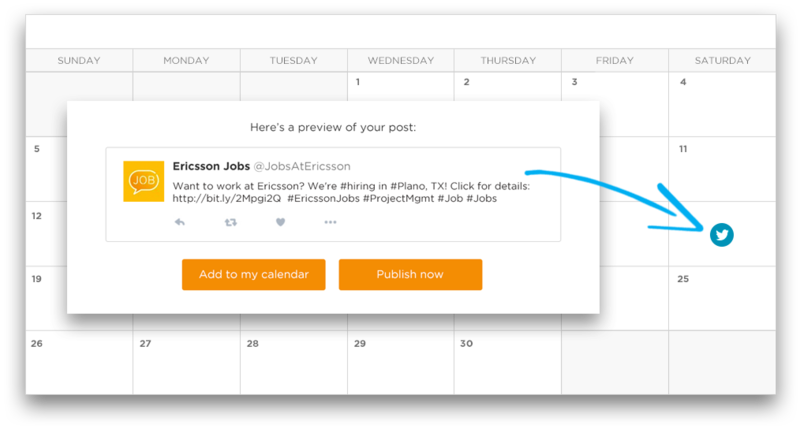 Create and schedule posts for Facebook, Twitter, LinkedIn, Instagram, and Glassdoor. 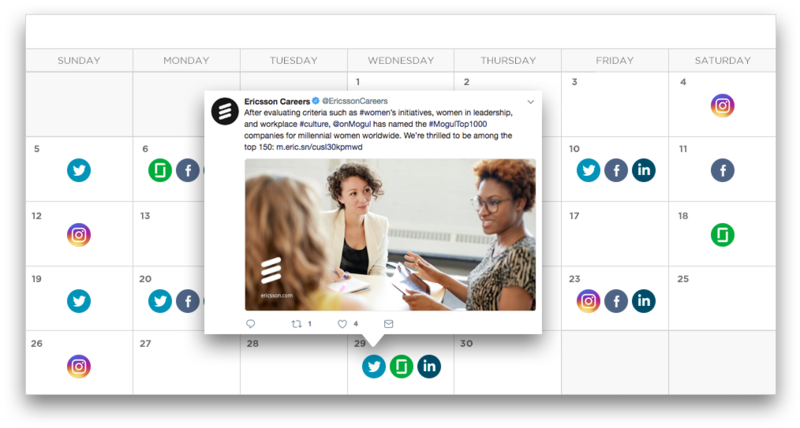 Track activity all through our easy-to-use content calendar, and keep your accounts firing round the clock. Never worry about what to share. 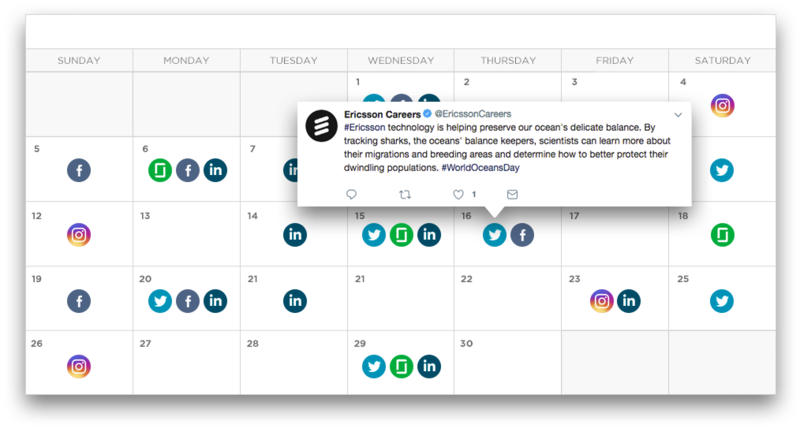 Complete with ready-made templates, analytics, and image and video sharing capabilities, CareerArc Engage helps you craft highly visible and clickable content with each post. Before CareerArc, we utilized a generic job board which had our positions sitting right beside multiple listings from our competitors. What CareerArc offers is just light years beyond that model. The candidate experience they help us deliver has shrunk our time-to-fill, cost-per-hire, and turnover. We’ve come a full 180. — Lisa Olden, Sr. Director, Human Resources, DRS GES, Inc.
Revolutionize the way you display open jobs on your career site. Only 1 in 219 applicants gets hired. What about the other 218? See what happens when you offer CareerArc Candidate Care to your declined candidates. Through CareerArc Candidate Care, you've just turned all 218 declined candidates into brand advocates. How? With access to our award-winning resume, cover letter, job matching tools, and more, your declined job applicants will find their next job faster, and have you to thank. you choose, no limits or restrictions. to continue advocating your brand. Track activity, configure campaigns, and measure results, all in one place. 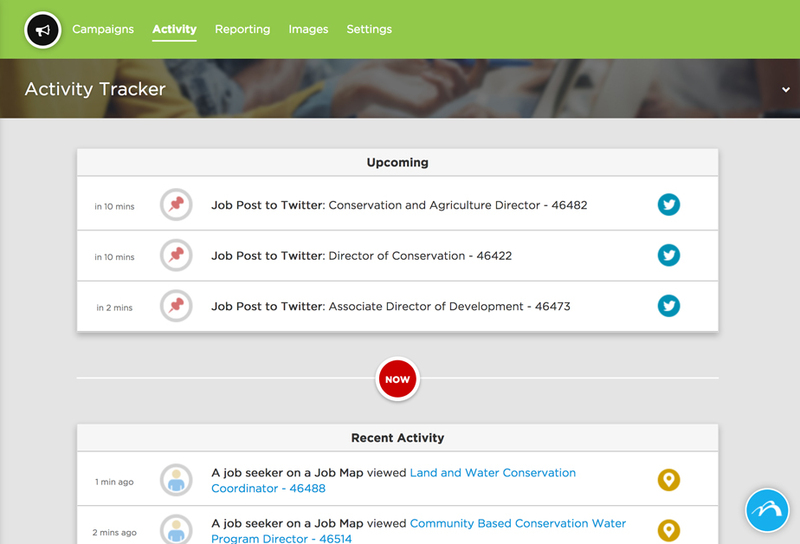 View your job distribution campaigns in real-time and monitor a live stream of your social, web and mobile activity. 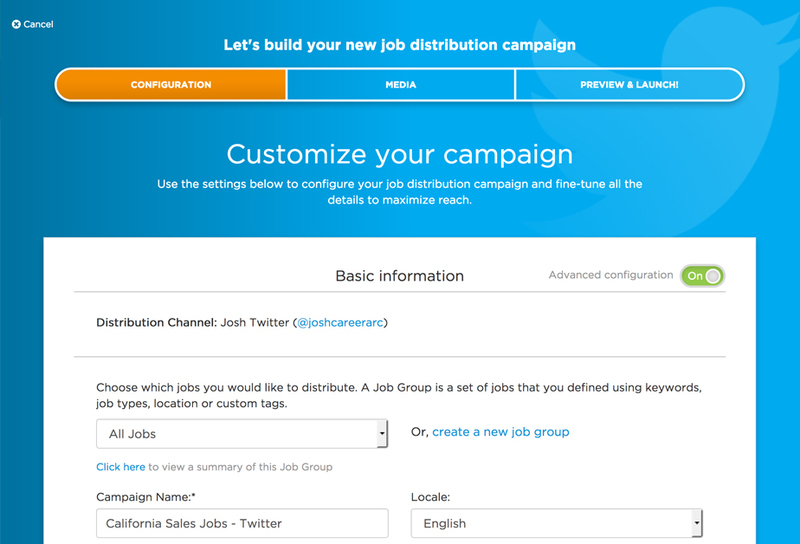 Create and manage campaigns for your job groups and distribute them through Facebook, Twitter, our custom apps, and more. 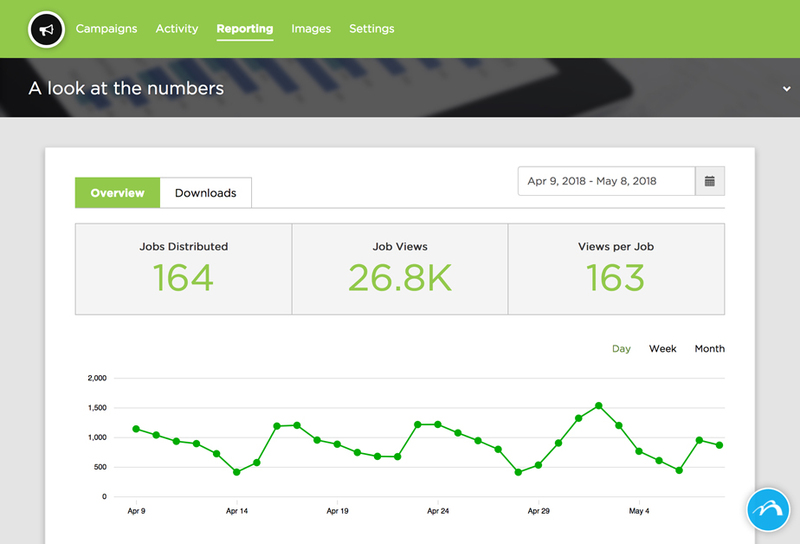 See what's driving your social recruiting traffic and how your jobs are performing through a robust reporting and analytics dashboard. As a CareerArc client, you gain unlimited access to the CareerArc Learn Module — our in-platform resource library packed with HRCI- and SHRM-approved courses, how-to videos, and exclusive client webinars designed to advance your skills in social recruiting. 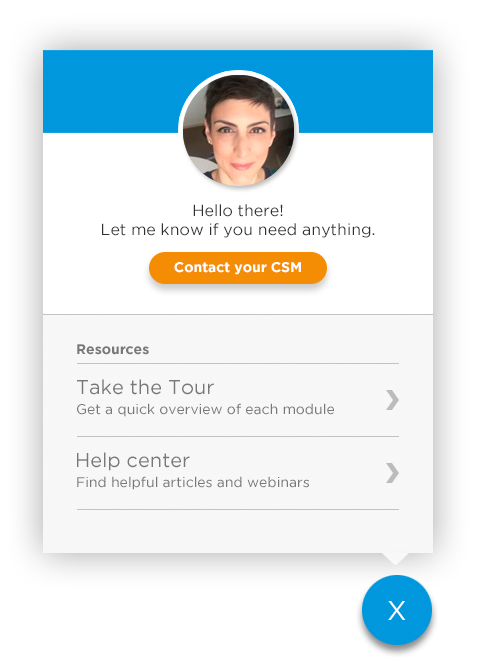 Get instant access to our help resources or contact your dedicated Client Success Manager direct from our platform. Each CareerArc customer is paired with a member of our award-winning Client Success team who provides 1-on-1 counsel, customized campaign strategy, and ongoing product coaching. Learn more about our clients and their thoughts on our service. We distribute your jobs across the largest combined network of social, mobile and online platforms, so you never have to worry about visibility again. Automatically populate your recruiters' LinkedIn profiles with the open positions they are looking to hire, and leverage the power of this important network. We include your jobs in the leading job search aggregator sites so you don't miss out on this important source of candidates and don't need to worry about managing multiple accounts. 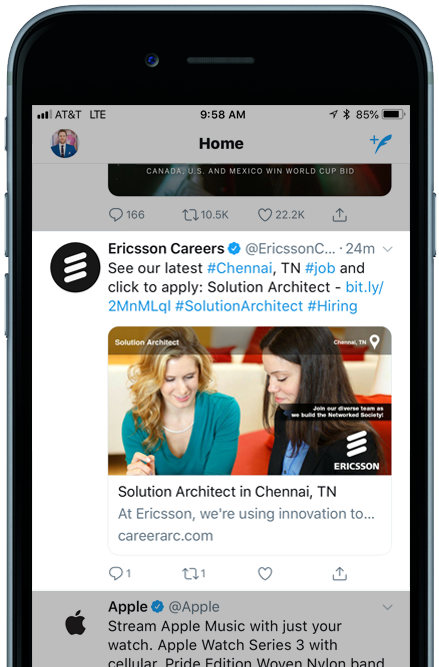 Careerarc integrates with every major Applicant Tracking System (ATS), automating the distribution of jobs to job seekers on social media, job sites, email, and mobile. We help you maximize your ROI by providing a dedicated account manager who will optimize your campaigns at each step and constantly push your results to the next level.